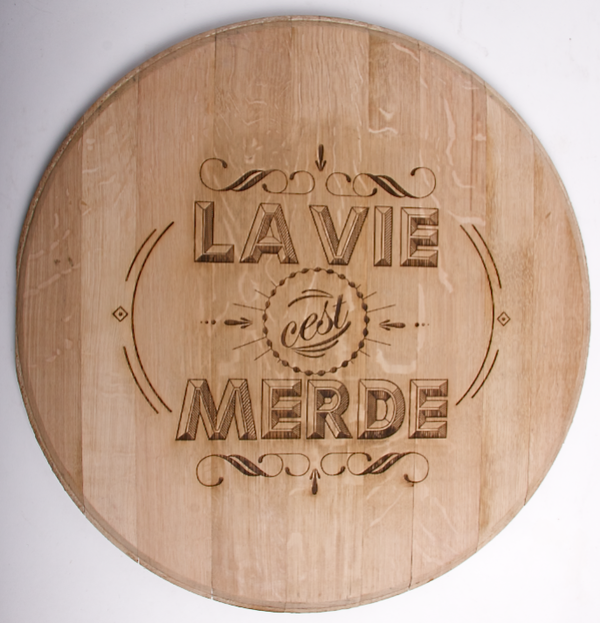 Absolutely love these beautifully crafted laser cut wood type characters (B, H, S, &) created by designer Brittany Shaw. "NEW YORK TYPES, running December 15, 2011 through January 6, 2012, is presented in collaboration with New York Writes Itself (NYWI), a new ongoing series of creative productions fueled by the people of New York, and Leo Burnett New York. For the NEW YORK TYPES exhibition, each artist or group -- currently including Swayspace, Center for the Book Arts, The KDU, Peter Kruty Editions and Tarhorse Press -- has picked a collection of NYWI 'Script' entries to interpret in his or her own letterpress style, bringing the real words to life letter by letter. The artwork is for sale in limited editions of 10, with a total of 500 pieces for sale." Love the idea of combining potato carved letters, prints and actual food. Beautifully presented by Dietlind Wolf.